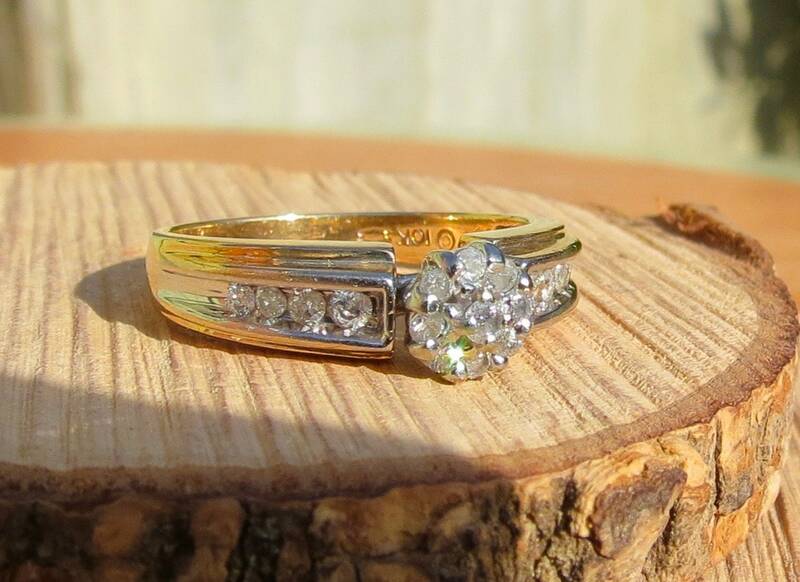 A vintage 10k yellow gold 1/3 Carat diamond cluster ring. 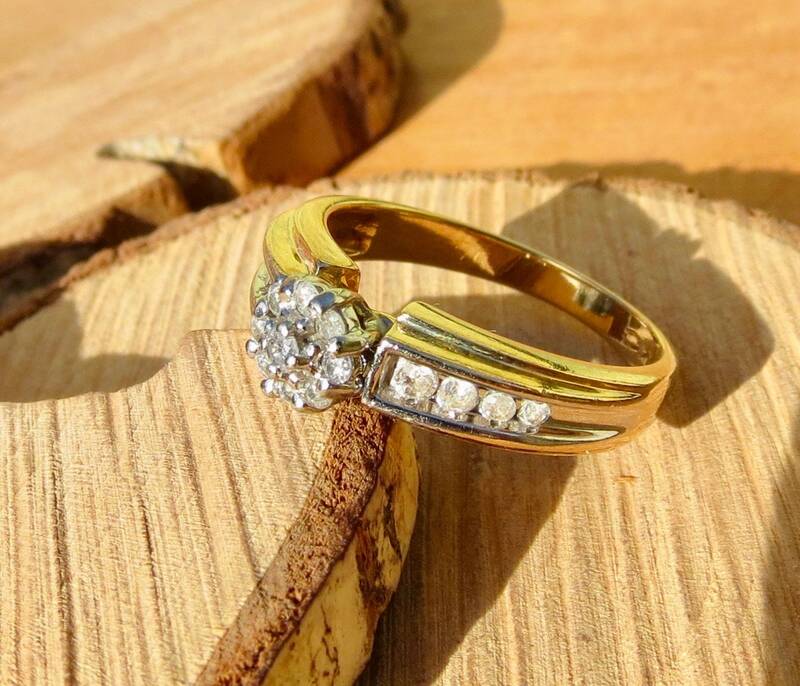 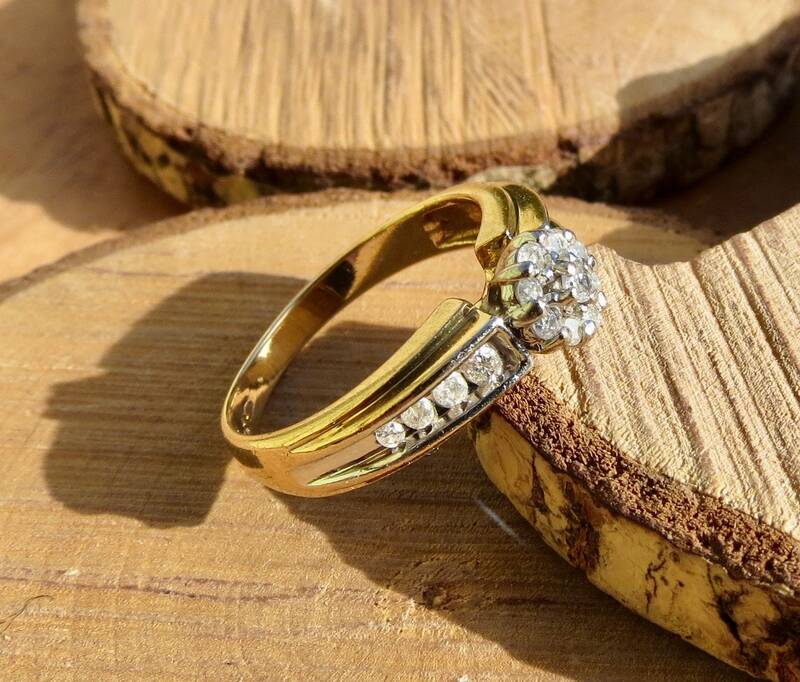 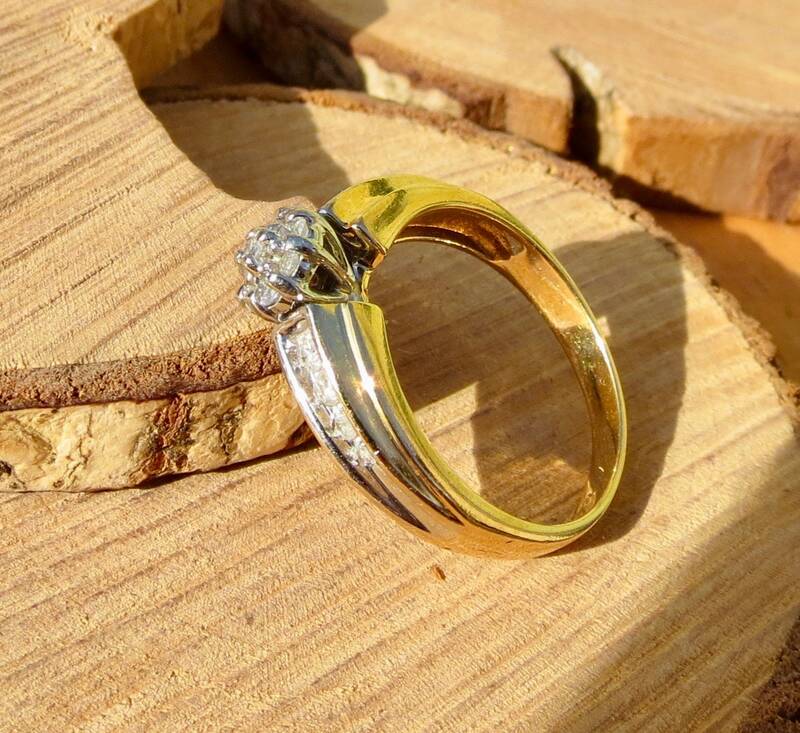 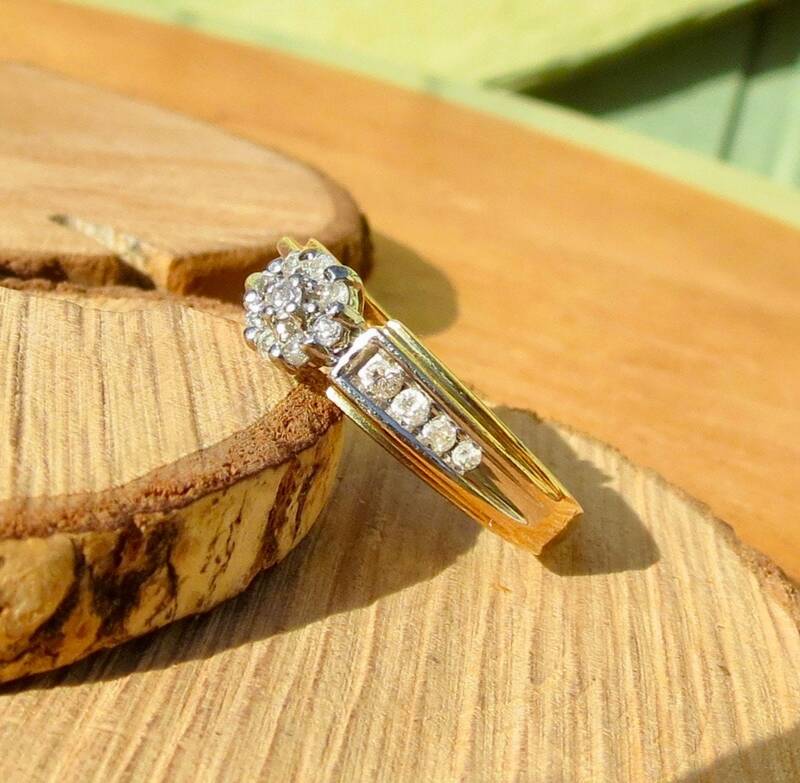 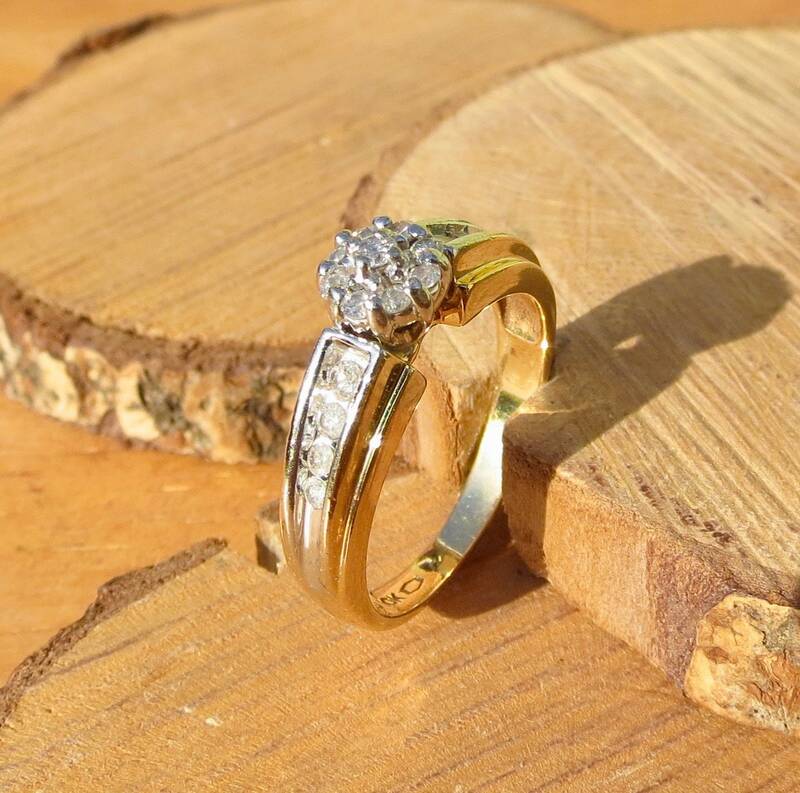 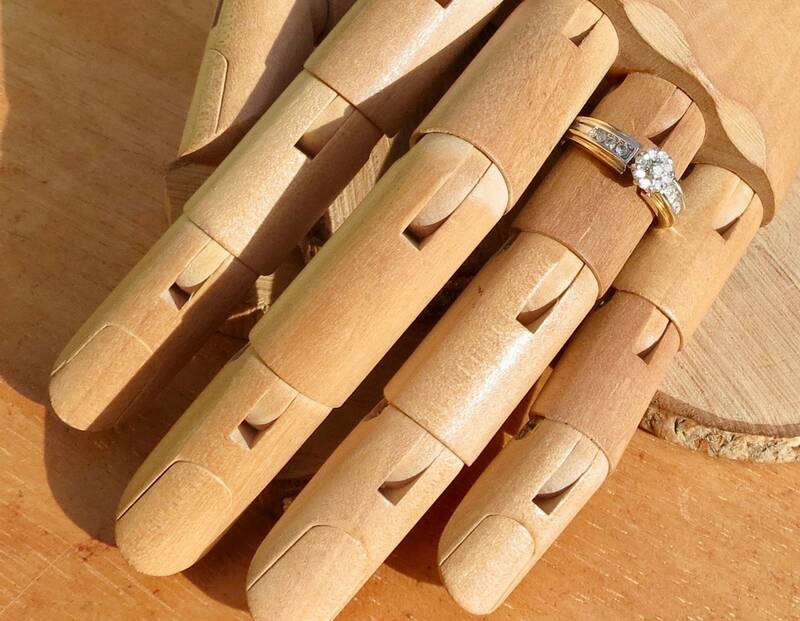 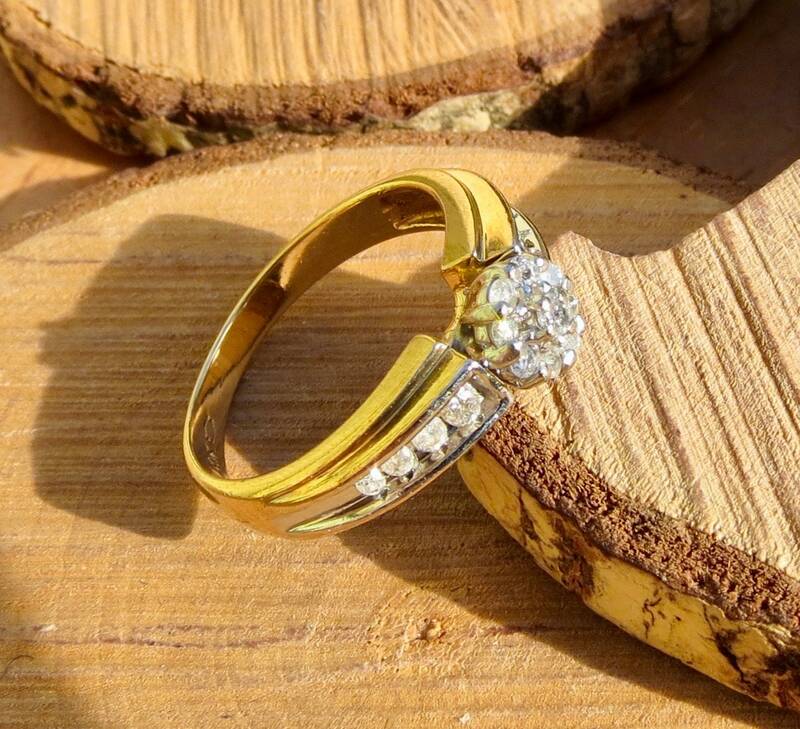 This vintage 10k yellow gold ring has 1/3 carat of diamonds made up of 9 brilliant cut diamonds in a cluster setting,. 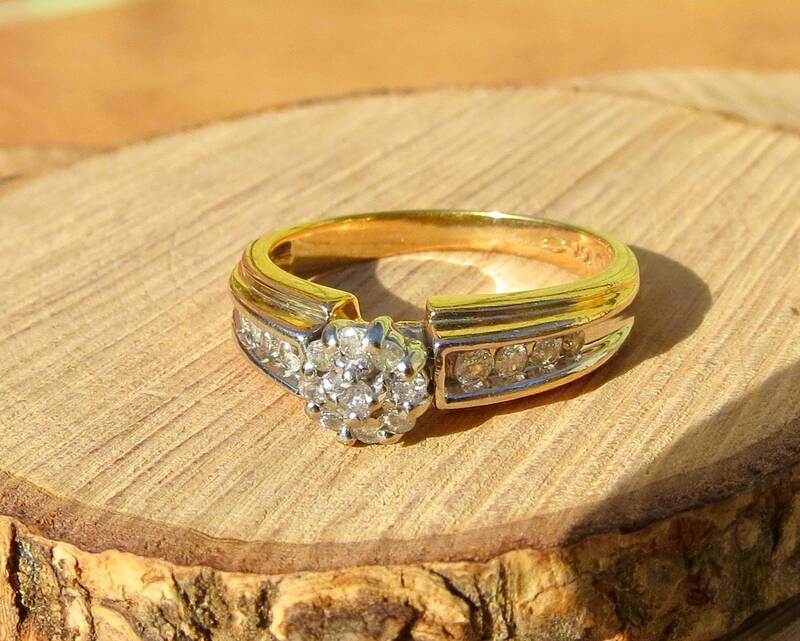 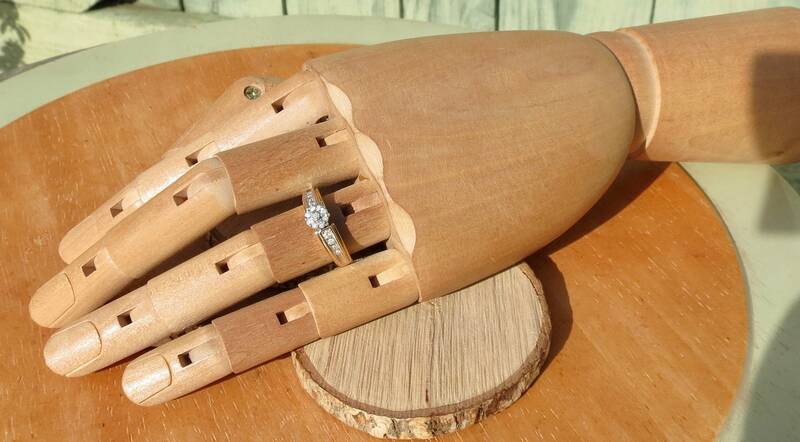 8 further diamonds are accented in a channel setting along the shoulders.